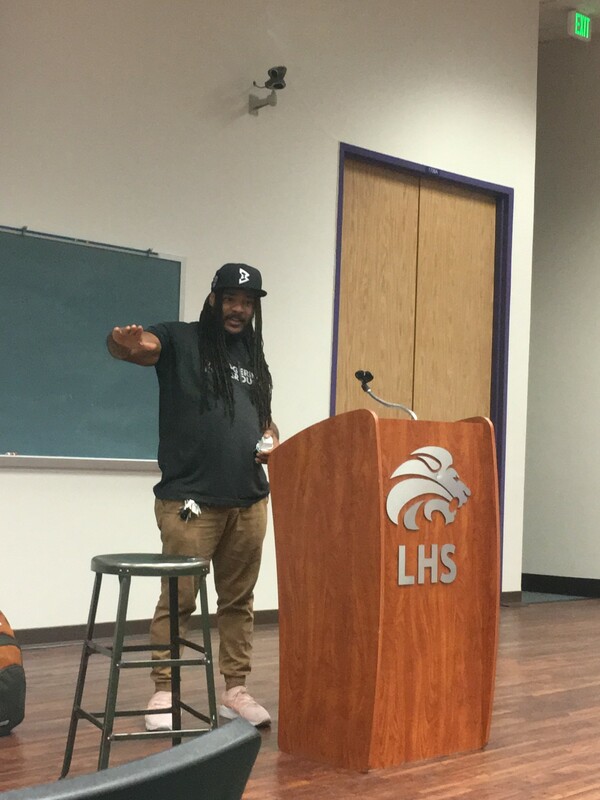 On November 7, 2018, the one and only Jovan Mays gave Littleton High School a visit and if you had an off period or a language arts class that day, you had the privilege to hear this amazing poet. Each year we have Jovan come by our school and he interacts with the students by telling us his poems and by doing a quick workshop with everyone present. Jovan Mays is a poet who was born in Aurora, Colorado which is what allows him to come to our school. He is a National Poetry Slam Champion and as well leads a youth program in the Denver Metro area. His annual arrival to LHS is something that encourages many to explore different ways to express one’s feelings. It is no secret that a majority of people who come back from this performance are either inspired or crying or even a combination of the two. Both the audience and Jovan himself experiences this, which is what makes his performance something to always remember. Each performance for every class period is always something different and he doesn’t tend to repeat and instead tries to give everyone a taste of something new. 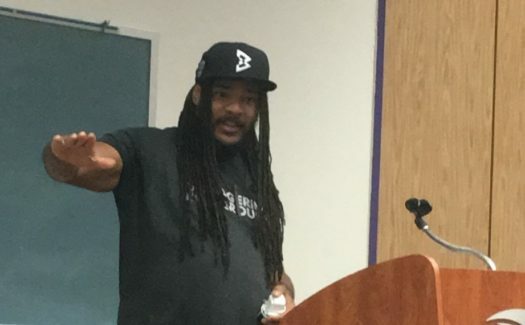 A few of his performed pieces included “To All the Black Boys” which is a poem he made about his nephew and racial tensions and as well as his graduating speech which made a connection between his time as a football player and how it helped him with life. These pieces allowed for Jovan to open up about his life and as well bring out the different perspectives on how to express a moment in time. The arrival of Jovan’s poetry helps spark the inspiration for those who plan on attending the district poetry slam. Mays is mainly known for interacting with the students by giving them a phrase and having them finish it with 2 or 3 lines. Seconds before beginning he would tell the audience a poem that speaks deep within him and would explain why and where he was during this writing. “Today, I don’t want to see your erasers moving; today we only move forward,” says Jovan the moment before giving everyone a phrase to complete. With lots of body language and raw emotion throughout each poem, Mays always describes the way he had felt within a situation firsthand. 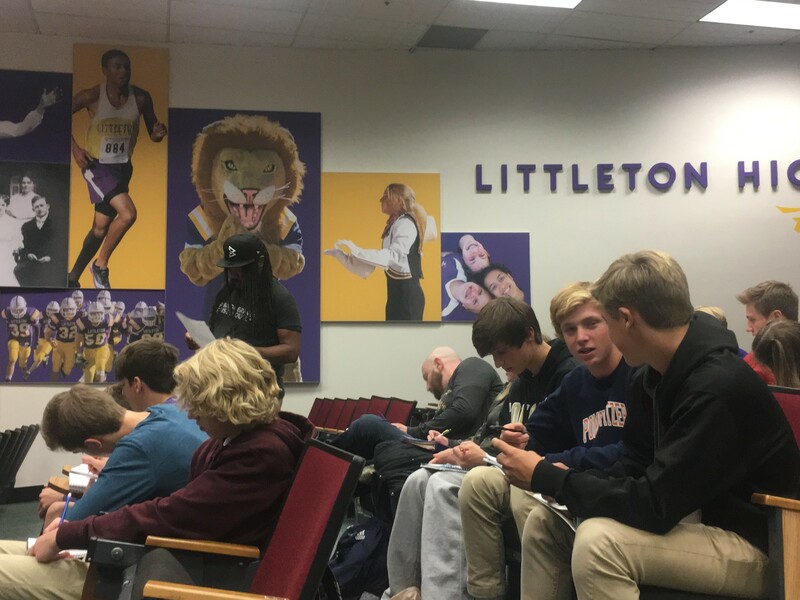 The impact he has on many students is enormous, especially when he allows people to share out their quick in-the-moment poems. These moments of sharing are what allow Jovan to spark up an idea for the next class and to focus on a new topic. The main idea that he had given out toward the students was that there needs to be more help and awareness for everyone else. As well as to find one’s way of expressing that joy that one has.